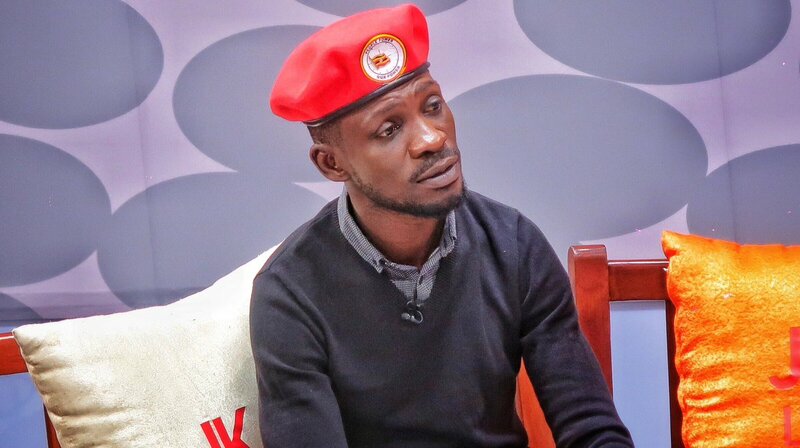 KAMPALA – Kyadondo East MP Robert Kyagulanyi alias Bobi Wine, on Wednesday afternoon, lashed out at President Yoweri Museveni, over trying to blind the youth with money handouts. Bobi Wine was speaking during a special church service, at the Kamwokya Catholic Parish. The People Power patron rallied the youth not to “sell their souls” but to rather stick to the truth and demand fair treatment. Hours before he travelled to Kenya for a five-day visit, Bobi Wine, while referring to incidences where Museveni has splashed chunks of money to urban youths including those in Kamwokya, said the youths are being taken advantage of, owing to their condition. He said that these don’t need cash handouts, but economic empowerment and a good environment through which they can develop themselves. “You have seen it even here in Kamwokya. Because of the kind of situation we grew up in, they use money to make us consent to something wrong,” Bobi Wine said. “But I want to tell you that what we need as people is to be treated as citizens and to be respected. According to State House, the donation drives are meant to lift up such unemployed youths from poverty, by helping them join entrepreneurship groups and accessing funds to start up their own businesses, a claim refuted by the opposition. Bobi Wine, during the church address, urged the ghetto youth to peacefully stand their ground and push for their rights. “Even if you are hard pressed, don’t copy something wrong which your oppressor is showing you. Always stand for the truth,” he said.